Where will they start? Garden bed measurements, indoor garden creations for prototype testing, sign and stake creations in art class for planning..... Two of our parents, Emily Jacobi and Jackie Sprague were awarded $2000 dollars to begin a garden project at Drummond Elementary. They worked with an automatic watering system, created raised garden beds, and worked with each grade level in the garden to learn about the joys of gardening. This year, Mrs. Jacobi continues to join us as we stemitize the garden. The computer program www.growveg.com will help students research plants for when to sow, plant, and harvest. What do plants need? Do they need sun, or shade? What watering schedules will they need? How will students determine what plants will grow best where? year. Stay tuned; we are currently installing a live camera so students can view their garden from home. Hopefully, they will be able to see their garden change over time and watch all of the different animals enjoy the garden, as we do. Of course, this may lead to additional problems to solve. 5th Grade students used a RASPBERRY PI to create a WATER REGULATOR prototype to manage the watering system of the Drummond Elementary garden, based on data collected from sensors, which will be connected to 3 output pins connected to a coded raspberry pi project. 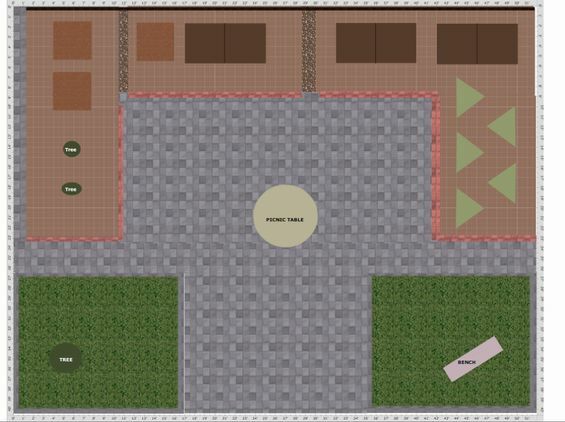 5th Grade students, in Ms. Krispin's and Mrs. Robert's class, are finalizing the plan for the automated watering system for the Drummond Garden, most recently named by the students and staff as the "DRUMMOND DRAGON'S CAVE". 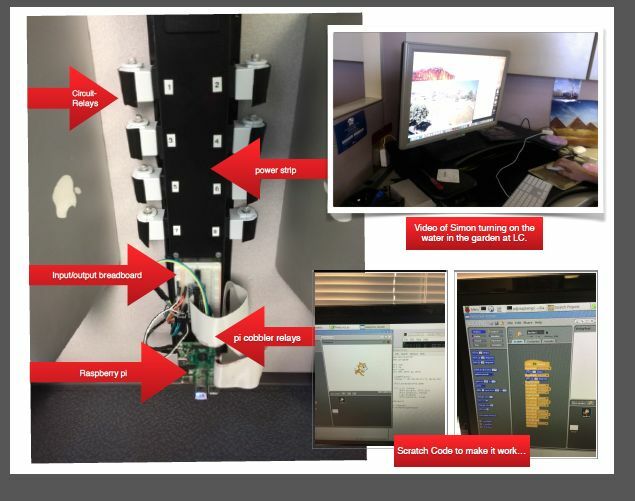 In order to learn how the garden relay will work, students worked with Dr. Ramey and Mr. Berglund on a simulated raspberry pi project using relay switches that turn lights off and on in patterns, based on code input from a student friendly coding program called "SCRATCH". 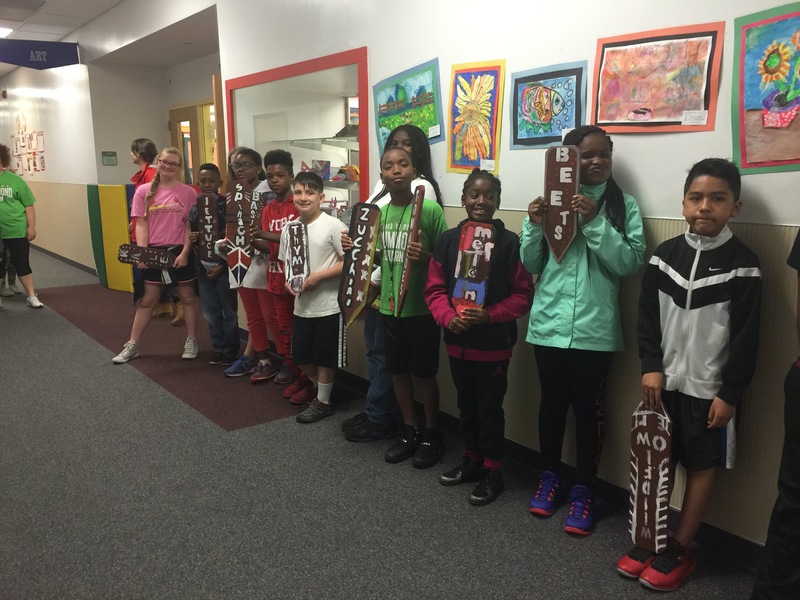 MAY 2016: Ms. Dickinson's 5th Grade Class turned "Drummond Dragon's Garden" from a STEM garden to a STEAM Garden.